If you financed your motor home, the interest could be tax deductible. 1. Is Interest Paid on a Second Home Deductible From Federal Income Tax? 2. Can a Boat Be Considered a Second Home for a Tax Deduction? Purchasing a motor home gives you more freedom when traveling and more flexibility with your travel dates. In addition, it might also give you an extra tax write-off or two. If you financed your motor home, you might qualify to write off the interest as part of the home mortgage interest deduction. For the purposes of the home mortgage interest deduction, a "home" must have sleeping, eating and toilet facilities. If your mobile home meets these criteria, and you have a loan secured by the machinery, the Internal Revenue Service allows the interest to be deducted on your tax return as long as you itemize your deductions. However, you can have only one second home, so if you have another second home that you pay more interest on, you should claim that one as a tax deduction. If you don't rent out your motor home, it doesn't matter how many days per year you use it. However, if you do rent out your rental home, you must use it for personal purposes for at least 14 days or 10 percent of the time you rent it out, whichever is greater. For example, if you rent your motor home out for one week, you must use it for 14 days to claim the interest as a deduction. However, if you rent it out for 200 days, you must use it for at least 20 days to claim the interest. The IRS limits the mortgage interest deduction to the first $1 million of mortgage debt on your first and second homes combined, as of the 2011 tax year. For example, if you have a $1.5 million mortgage outstanding on your main home, your motor home loan interest won't increase your deduction. However, if you owe less than the limit on your main home, or don't have a mortgage on your main home at all, you lower your tax liability by claiming the interest on your motor home. Any personal property taxes you pay on your motor home can also be deducted on your income taxes. To qualify, these taxes must be based on the value of the motor home and charged annually. However, the payments can be collected at different intervals. For example, if you make semiannual payments for the personal property taxes, but the amount of the tax is figured annually, your payments qualify. 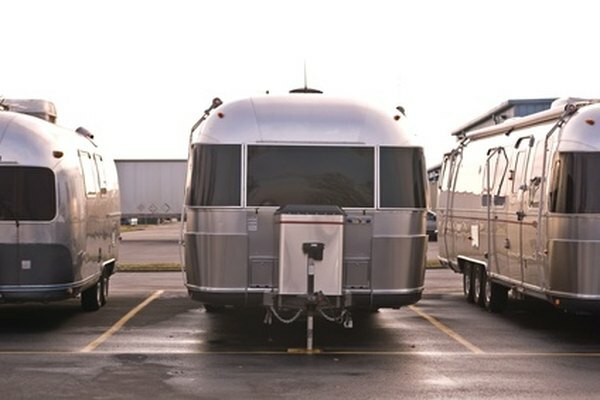 You can claim the personal property taxes whether or not your motor home qualifies as a second home.